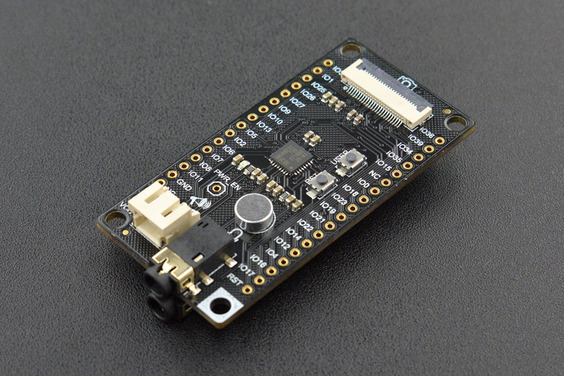 DFRobot FireBeetle series are low power consumption development modules designed for Internet of Things (IoT). The FireBeetle Covers-Camera & Audio Media Board is a multimedia device for IoT that provides interfaces to connect NAU8822 CODEC IIS, OV7725 camera, SD card (SDIO), earphone and microphone. Moreover, it equips with a mini MIC input interface. The NAU8822 CODEC IIS can drive both 12@8Ω BTL loudspeaker and 40mW@16Ω earphone. The direct connection is supported. Meanwhile, NAU8822 supports DAC sound signal acquisition and programmable microphone amplifier. The recording is available when input voices with onboard MIC interface or microphone then save it to SD card. What's more, the function to take photos is available when connected to an OV7725 CAMERA. With any FireBeetle main boards (e.g. ESP32 main board), the FireBeetle Covers-Camera & Audio Media Board could be a MP3, a recorder, a camera. Once connected to the Internet, it could be an Internet radio, a cloud image recognition. This media board only supports FireBeetle ESP32 main board at present, for other main boards do not equipped with IIS interface. The flat ribbon cable of camera is relatively easy-to-break, please be careful and light in connection. The camera shot must be opposite to the SD card slot. It does not support video shooting and transmission. 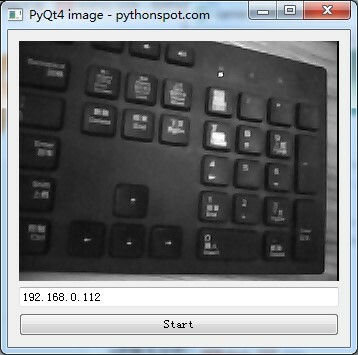 Camera OV7725: (data as below is just for reference; some functions could not be realized by ESP32 now). Auto Image Control: auto exposure control (AEC), auto gain control (AGC), auto white balance (AWB), auto band filter and auto black level (ABL) calibration.